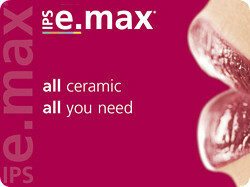 Hand layered for exquisite esthetics in the anterior region or monolithic for optimal strength in the posterior region, there is no other material that can give the esthetic results possible with e.max. At 400mpa e.max is substantially stronger than conventional ceramics. At 1200mpa Solid Zirconia is the strongest material available today. Monolithic for the extreme strength when the situation indicates a Full Gold Crown but the patient demands a tooth colored restoration. 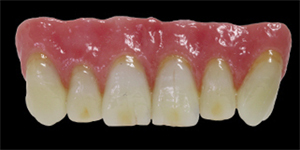 Hand-layered porcelain fused to a high strength substructure combines the strength of metal with the esthetics of a metal-free restoration.